Memorial services for Vivian Brua, age 88, of Albert Lea, will be held at 11:00 a.m. on Friday, March 22, 2019 at First Lutheran Church. Pastor Sean Forde will officiate. Interment will be at Graceland Cemetery at a later date. Friends may greet the family one hour prior to the service at the church on Friday. Online condolences are welcome at www.bayviewfuneral.com. 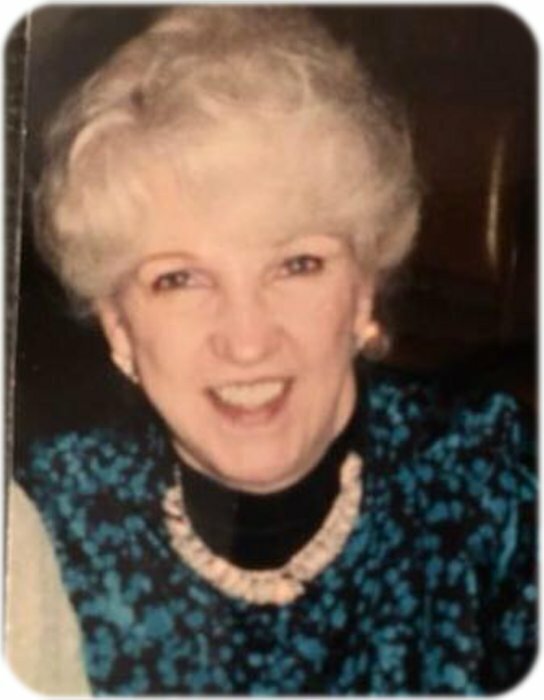 Vivian Ruth Brua passed away while resting peacefully Sunday, March 17th at Good Samaritan Society in Albert Lea. Vivian was born June 20th, 1930, to Wrol and Louise (Anderson) Wrolson in Carson, North Dakota. She often told stories of her youth and adversity on the farm on the North Dakota Prairie. The Wrolson family moved to Albert Lea around 1945 where she attended Central High School and met the love of her life, Oyer “Ole” Leonard Brua. Ole and Vivian were married at First Lutheran Church in Albert Lea, on June 12, 1947. Ole died in a car/train accident on Vivian's 43rd birthday and now she has passed on what would have been his 88th birthday. Viv had a zest for life and always had a smile to share. Her philosophy in life's journey was not to arrive at the grave safely in a well preserved body, but rather to skid in sideways, totally worn out, shouting "Holy cow, what a ride!" She has been described as effervescent, vivacious, sparkling and bubbly. She enjoyed being a housewife and mother but occasionally took jobs waitressing, which allowed her personality to shine. She won virtually every "Powder Puff Derby" (women's) car race at local tracks in Southern Minnesota. More recently she loved interacting with her children and grandchildren. Vivian is survived by her sons, Roger Brua of Albert Lea and Rick and Jill (Krause) Brua of Rancho Cucamonga, CA. She is also survived by Rick and Jill's daughters, Bridget McCarthy and Ferrin (Nathaniel) Brua Hoffmann; and many great grandchildren. A brother, Henry, lives in Eugene OR. Her special friend, Warren McColloch will also miss her greatly. She was preceded in death by her parents; her husband, Oyer; an infant daughter, Linda and two brothers, George and Arnold Wrolson. First Lutheran Church was always a part of the Brua's family history as all family events took place there. Vivian was a lifetime member and taught Sunday School for 15 years. We will miss her for the rest of our lives.